Courtesy of de Stuurlui stedenbouw & Atelier GRAS! Architects Marijke Bruinsma (de Stuurlui stedenbouw) with Marjan van Capelle andArjen de Groot (Atelier GRAS! ), shared with us Eathouse, a house and garden to eat. More images and architect’s description after the break. 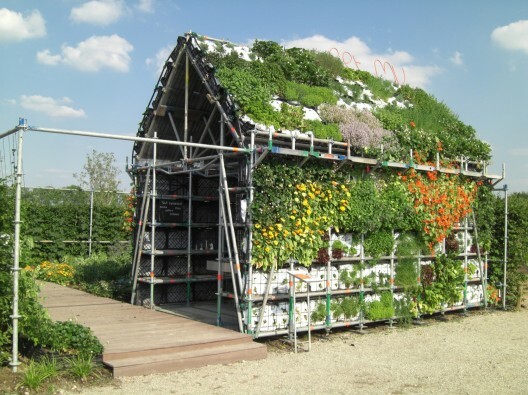 A house and garden to eat, that you are able to touch, smell, taste, seed, weed, and harvest! 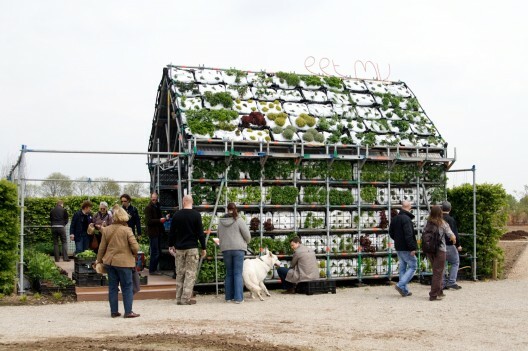 EATHOUSE is a house in a garden that attracts visitors with delicious vegetables, fruit, herbs and flowers. 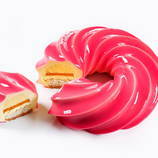 We want to seduce people and make them taste the edible garden and the edible house. EATHOUSE has a temporary character; it lasts a summer season. This is why all the materials used in EATHOUSE can be re-used for a new season of EATHOUSE at a different spot. EATHOUSE consists of a modular system of plain plastic crates, in combination with a scaffold structure. These crates are used in the agricultural industry to harvest, transport and exhibit fruit and vegetables in combination with a scaffold system. 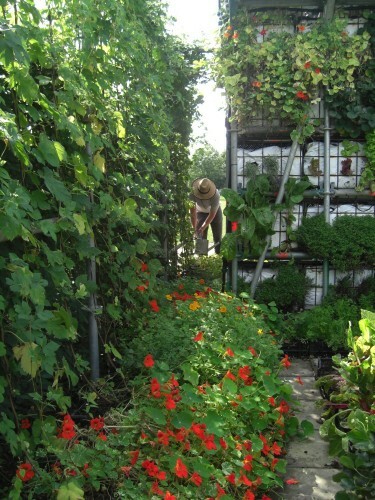 With this system vertical green becomes accessible for everyone; you can make your own vegetable garden on the wall of your balcony or on the roof of your garden shed!